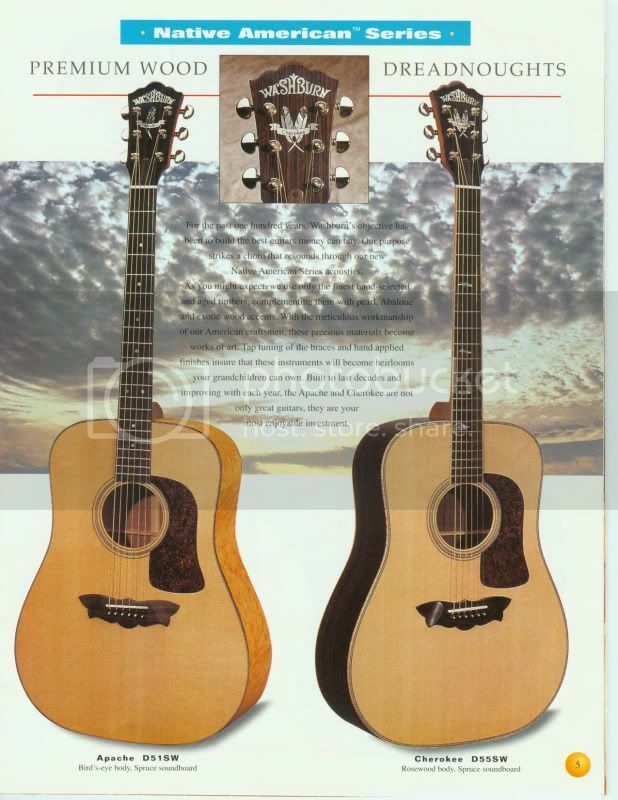 American built D51SW Apache & D55SW Cherokee, 1995 vintage. I bet that Cherokee sounds sweet! Didn't you say you own one, Pike? 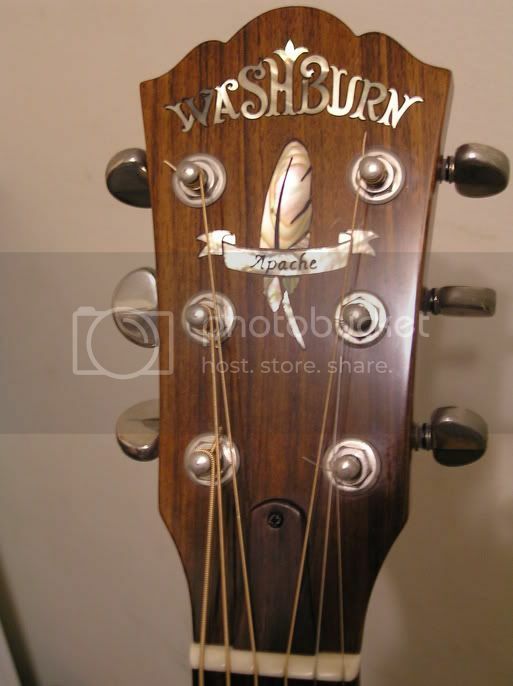 You're right....the production Apache had one feather at the 12th fret position. The Apache shown in the catalog (posted by Pike) is one of the prototypes built by Bourgeois. Yes Mark, I own one of the earlier ones with the smaller bridge plate. Nice , very very nice.... How does it sounds compared to the Cherokee ? I watch a show on RFD-TV, on Friday nights, called Country Family Reunion. It's a show with many of the older country writers and performers from the 50's, 60's, and 70's. 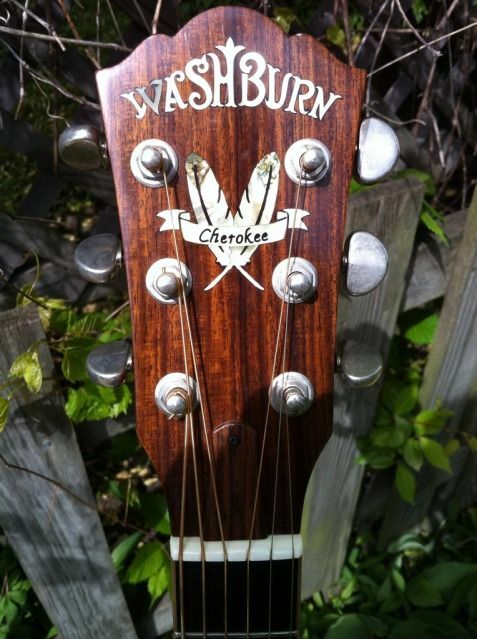 I always see a Washburn Cherokee on the show, being used by various singers. I think the Cherokee is owned by Bill Anderson, the host of the show, as I've also seen it pictured on a couple of his older albums. 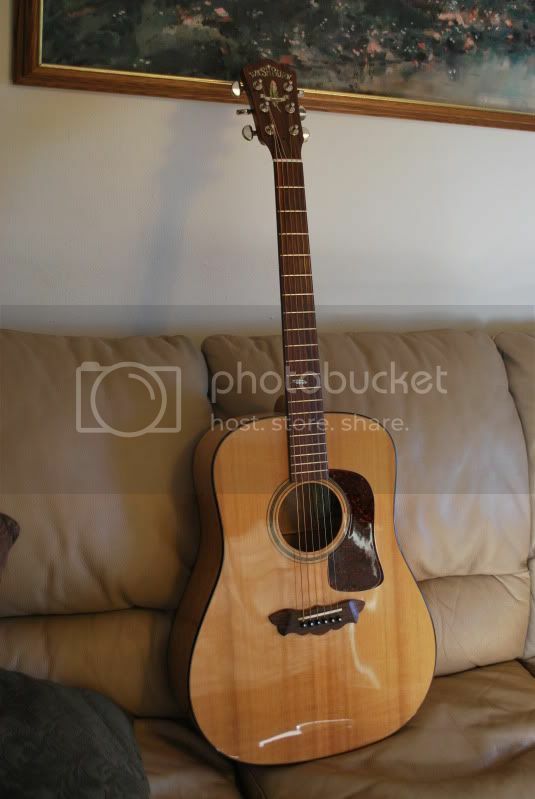 The Cherokee always sounds good, and seems to be preferred by the performers, over other guitars sitting on stands near them. 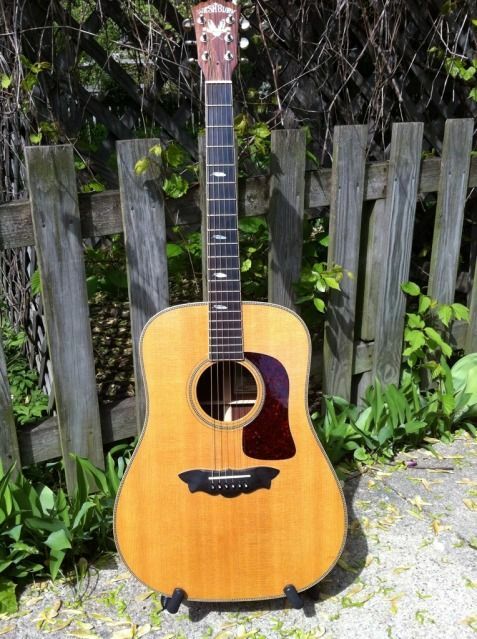 maybe you're like Pike and are blessed to own one(or more) of these, or you're simply an ardent admirer, and well aware of the special heritage of these guitars. Either way your opinion is requested. I'm not crazy about the Grover Tuners on my Cherokee. Something about the big hulking chrome just doesn't sit right. I had thought of replacing them with Waverly tuners .Waverly are typically considered top of the line and used as OEM by top builders on their guitars, including Bourgeois, who uses them on most of his builds. So what's your opinion? Heresy? leave the thing stock? or, if done right, go for it. Cosmetic and operational improvement? but if he comes closer to a price I would be willing to pay, you just never know. I personally love the open waverlies, but I have found that on a few of my guitars in the past where I have changed out the tuners I also got a slightly different sound from my guitars also. But you can always change it back if you don't like it. Well, yes and no. 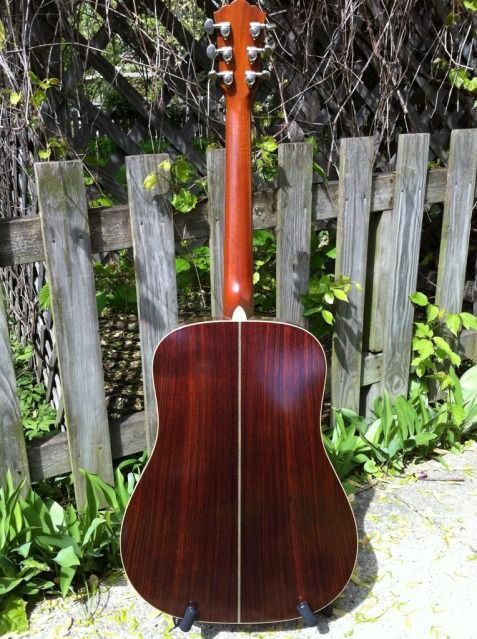 You could change it back, but if I go Waverly's, they use a second top screw, like Klusons, so you'd end up with open holes in the headstock. Perhaps the grovers would cover them but I'd hate to have to find out. You really experienced a significant change in sound by changing machine heads??!!!??!!!??!! 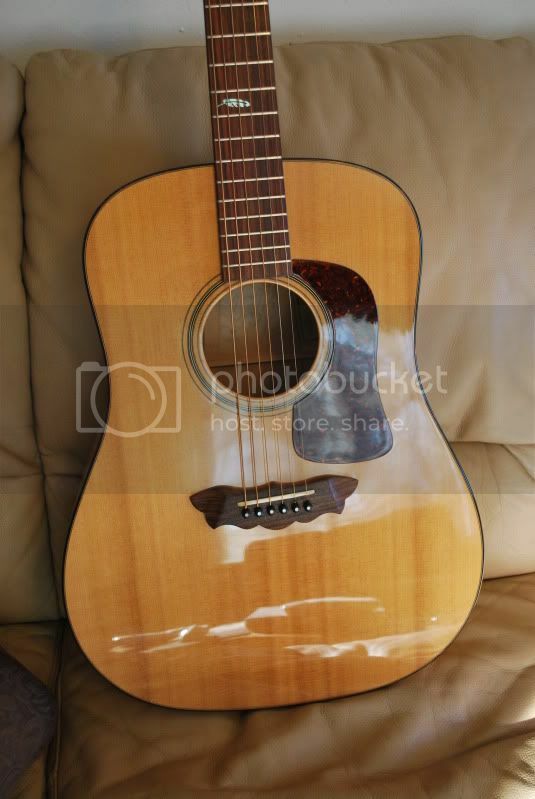 I want this guitar so bad right now, it's just asking to be dropped to open D with a banjo capo with the finger picking letting loose. 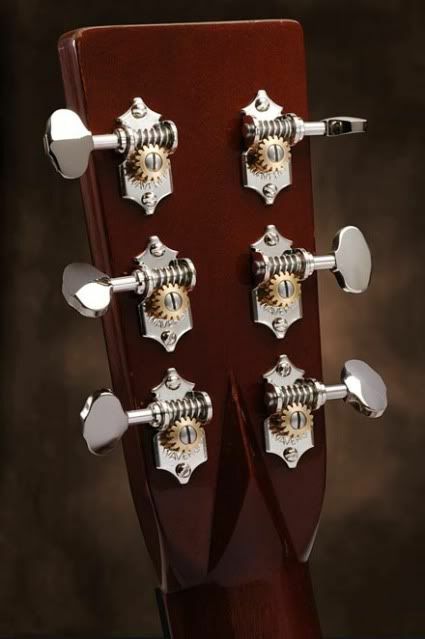 The sheer mass of the Tuners can cause a guitar to change tone by adding or removing mass at the headstock. 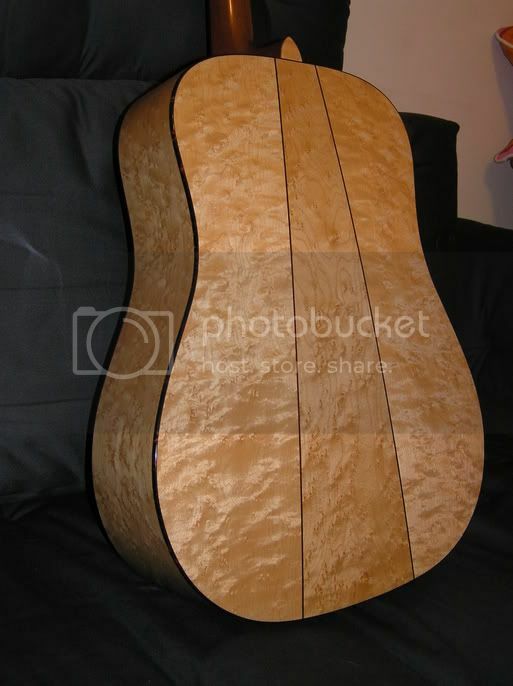 Tighter engineering and higher mass can lead to an increase in sustain and changes in the tone of the guitar, although there is no real way to say which way the tone will go.........trial and error is king!